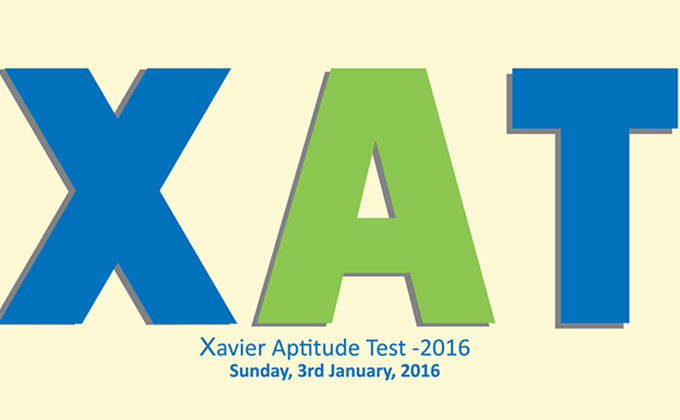 XAT 2019 is being conducted in January 2019 by Xavier Association of Management Institutes (XAMI) for admission in XLRI and many other top tier management institutes of India. In the main question paper the total number of questions has been brought down to 78 and the time allotted has been increased by 20 minutes. The candidates would have 170 minutes to answer the questions. The level of difficulty of the questions has also been carefully designed. In order to enable students to attempt as many questions as possible and encourage them to demonstrate all-round skills, the difficulty level of the questions has been brought down. In the previous years, students would attempt only half of the questions reducing the range of marks scored among students.However if the examination is made very easy, then many would finish the test before time. If ten thousand students finish the question paper in time and if all of them get most of the questions right then it would be difficult for XAT associated colleges to choose from these ten thousand students.Therefore XAT-2019 has been designed in such a manner that that the top hundred students will be able to complete the test in 170 minutes. This way, the examination would avoid both possible errors: a. low range of scores b. excellent students not getting enough opportunities to showcase their ability because of too easy a question paper. In the new pattern it has been tried to counteract the phenomenon of students leaving too many questions unattempted. “Leaving the question” is also a sign of intelligence but concern is that students are becoming risk averse in attempting to answer difficult questions. Belief is that if one aspires to be a good manager, one should be able to take reasonable risk. That is how one “creates future possibilities”. To take care of both this issue, in XAT-2019 students have achoice of not attempting 13 questions. Beyond this, any unattempted question will carry the negative mark of 0.05. There would also be negative marking of 0.25 marks for any wrong answer. This would encourage the risk taking ability of the students while making XAT robust in differentiating a good student from the not-so-good student. The format of supplementary sections of GK and Essay would remain same with some minor changes. The time allowed to answer both GK and Essay would be 35 minutes.Last year, the GK score of most candidates was on the lower side, and some candidates had complained about the time. Taking this feedback into consideration the number of questions in the GK has been reduced to twenty-five. All the questions would be “General” in nature rather than “specific”.There would be no negative marking in this section.